If Senior Trump administration officials working on a proposal for Israeli-Palestinian peace issued a joint statement about their work on Wednesday, cautioning a world eagerly awaiting their plan that “no one will be fully pleased” with its contents. The statement was issued amid intensive discussions within the administration over when to release the plan to the public. “No one will be fully pleased with our proposal, but that’s the way it must be if real peace is to be achieved. Peace can only succeed if it is based on realities,” said the team, comprised of Jared Kushner, President Donald Trump’s son-in-law and senior adviser; Jason Greenblatt, his special representative for international negotiations; David Friedman, his ambassador to Israel; and Nikki Haley, his envoy to the UN. The team has issued similar statements in the past, including in an oped published on CNN last month. 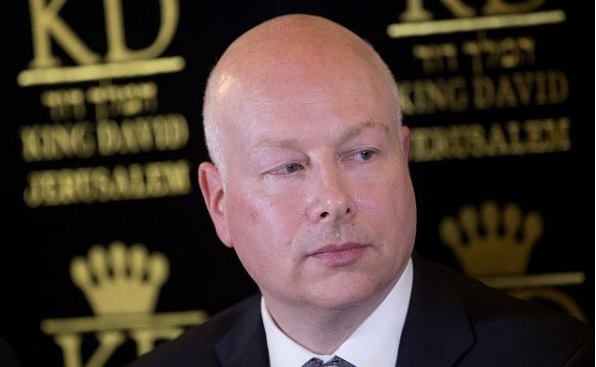 Greenblatt, who is primarily responsible for daily work on the plan, disseminated the statement on Twitter in Hebrew, Arabic and English.